“The Art of the Acoustic Steel String Guitar” is the tenth Windham Hill release and the eleventh album by the artist. Because it varies somewhat stylistically from the direction that future Windham Hill albums would take, the label re-issued it under the “Lost Lake Arts” imprint as LL83. Basho was a brilliant guitarist whose goal was to make the steel-string guitar an serious concert instrument. His work, more than others influenced William Ackerman as a guitarist. The music is admittedly and acquired taste for most, but repeated listenings will reward any who have interest in compelling and intense musicality. 1. THE GRAIL AND THE LOTUS 6:36 – A Neo-Gothic construction for six string, combining East and West. 2 CATHEDRALS ET FLEUR DI LIS 7:00 – A 12th century French cathedral in the province with gardens, flowers and birds. Now comes a rainstorm, and hear the organ sounding within the church. After the rainstorm, doves flying from the cathedral windows, adn the immortal chimes. 4. A STUDY FOR STEEL STRING 2:59 – Vivaldi and trumpets for six string guitar. 5. VARIATIONS ON CLAIRE DE LUNE 3:36 No one can ever match the Claire de Lune by Presti and La Goya ( a husband and wife team on Nonesuch) but I thought this 12-string version was a good way to end the evening. It was in 1972 that I first heard Robbie Basho. Since that time I’ve been to hundreds of performances, but very few are as carved in my memory as that one. Only 50 or so people were in that tiny Berkeley rehearsal hall. I’d reviewed Robbie’s “Song of the Stallion” for Guitar Player Magazine, and he wanted me to hear hmi live. Frakly, I went to the concert out of courtesy. But I left a believer. Robbie’s music has a way of totally captivating listeners, of enabling use to transcent our troubles, our daily concerns. We find ourselves in places we’ve perhaps never been, in times we probably never saw. WE get to experience those places and times, not with music that recreates bubbling brooks or galloping horses, but iwth performances that let us feel what Basho calls the “theatre” of America or India or generations poset or those to come. The great classical guitarist, Andres Segovia, spent three decades before he was able to create a concert following for the solo guitar. Similarly, Robbie Basho is working to develop such an audience for the American steel string guitar. For nearly twenty years he has been touring the world to assimilate its diverse musical forms and instruments into his own approach toward the 6- and 12-string guitars. “My main desire,” he says, “is to establish the steel string as a concert instrument indigenous to America. To this end, Basho has refused to compromise his art in any way. “Slow Circle” is Alex De Grassi’s second album and the ninth album released on Windham Hill Records. For this album, Ackerman commissioned liner notes by Tom Wheeler, which I will only second here because they so perfectly capture this album. See the full piece below. The mood is classic Windham Hill. 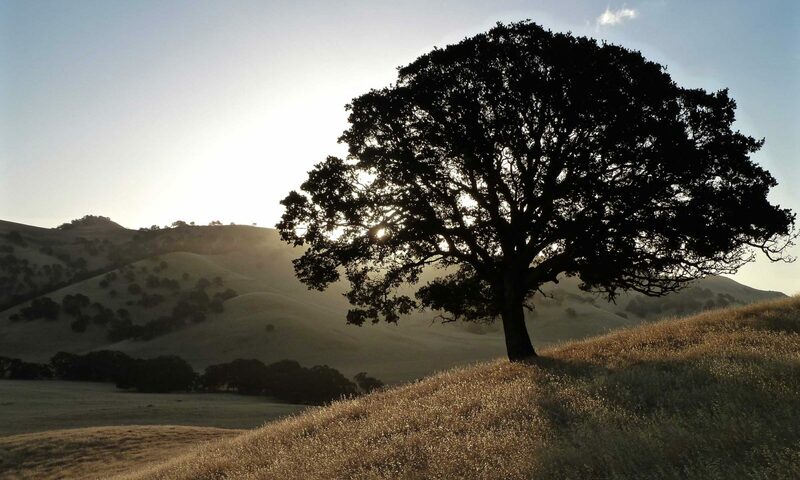 Where Ackerman tries to capture a mood directly, De Grassi writes songs to capture a sense of place: rural, but not necessarily grand places with natural beauty. “Causeway” is really about the causeway going over the Great Salt Lake in Utah. Klamath is really about Klamath in Northern California, and so forth. This makes his songs less poignant, overall, cheerier and more relaxed. The sound quality is faultless – recording again by Harn Soper at the Music Annex, the recording doesn’t cast a soundstage – rather it puts you almost in the position of the guitarist himself. The reverberant body of the guitar is constant presence, and obviously a well-considered part of De Grassi’s playing. This is an essential recording. Engineered by Harn Soper and Roger Wiersema. All Selections Windham Hill Music BMI. Manufactured by Windham Hill Records. My special thanks to Ervin Somogyi of Berkeley, CA who built and provided the guitar used for this recording. Alex DeGrassi is an acoustic guitar impressionist. At the heart of his music is an aesthetic sensibility that embraces both the beautiful and the abstract. His songs are at once enjoyable and provocative, combining classical harmonies, the deceptive simplicity of various ethnic and folk musics, and a freedom from convention befitting a jazz composer. SLOW CIRCLE is especially communicative, for at every turn it hints of an accumulation of experiences worth sharing. Alex’s poetic intuition is acute, imparting to SLOW CIRCLE a visual suggestiveness, a timeless quality evoking not just rain or snow, but dreams of rain, memories of snow. There is much variety here, though not in the usual sense of a guitarist displaying his facility with various established styles. Rather there is a single, cohesive style, a new voice. The strong tonal anchor of each piece is explored in a variety of ways, encompassing a variety of moods – intense and serene, cheerful and introspective, romantic and invigorating. There are delicate minuets that lilt and twirl, meditative tone poems, and thematic, self-accompanied melodies, all punctuated with deft harmonics. Alex fingerpicks a clear and bright sounding steel string guitar. Like his compositions, his playing is sensitive and inspired. Staccato flurries are executed with confidence, and the dense, blurry-fast arpeggios are as stunning for their articulation as for their speed. Poignant passages are played with grace, and Alex’s attention to detail, his appreciation for nuance, pervades every corner. In short, his technique is potentially virtuosic, scary, the kind that shoves fellow pickers to the cliff of decision: should I practice like a madman, or chuck it all together? With SLOW CIRCLE, Alex DeGrassi establishes his artistry in the first moments of the first piece, and there soon emerges an identity so distinct and so inseparable from the songs that it’s hard to imagine another guitarist attempting them. There is a good chance that SLOW CIRCLES’s energy will take you in, that its eloquence will speak to you, and that its lingering spirit will bring you back. TOM WHEELER / Guitar Player Magazine. 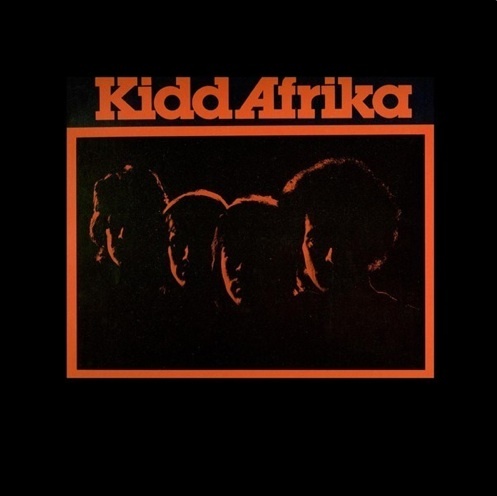 Kidd Afrika is the seventh Windham Hill Album and the first Kidd Afrika album. For the first 10 Windham Hill albums, I suspect William Ackerman subscribed to the “I only publish one kind of music. The good kind.” theory. In the first three years of giving Windham Hill a go as a business, he released three of his own solo guitar albums, a lovely folk/pop album by Seattle musician Linda Waterfall, another solo guitar album by his cousin Alex De Grassi, and this immensely fun R&B/Blues party album by Kidd Afrika. This music is great fun. Really. Buy it now and put it on repeat at your next party. Don’t have a party planned? Schedule one just so you can play it and have a great time. Management by Don V. Ball 815 N 45th St., Seattle WA 98103 (206) 632-9690 and Ivan Buchbinder, PO Box 601 Bellingham, WA 98225 (206) 734-1435 — PLEASE NOTE THESE NUMBERS WERE PRINTED IN 1977AND LIKELY NOT CURRENT. Lead Vocal, lead electric and acoustic guitars, vibes on TAKE THE BAIT, mandolin on MARMALADE AND JAM. Electric and acoustic rhythm guitars, vocals. Drums, percussion, vocals, Fender Rhodes piano on DON’T MESS WITH MR. T.
Tenor and alto sax and horn arrangements on I BELIEVE IN YOU, I’M GONNA BE MORE, and APOLOGIZE with the West Seattle Horns, Ned Neltner on coronet and Les Clinkingbeard on baritone. All selections published by KiddTunes ©1978, BMI except for SPREAD THIS NEWS AROUND, (Sonny Terry), Prestige ©1962, BMI; DONT MESS WITH MR. T, (Marvin Gaye), Jobete/20th Century Music Corporation ©1972, ASCAP; I BELIEVE IN YOU, (Don Davis), Groovesville Music, © 1973 BMI. We dedicate this project to our friends and fans in appreciation of all their help, support, and inspiration. Thank You All. Donny, Larry, Teddy Joe, James. Additional copies and other releases are available through Windham Hill Records. Kudos to the kids of the band members; they have made the album available digitally and set up a MySpace page. The album is available for listening and downloading from the Kidd Afrika page on Rhapsody. It’s also available at the Amazon MP3 store, and a few other sources, so pick your poison. Sure, the quality of the MP3 stores isn’t quite HDTracks quality, but hey, it will do until the unlikely event the album is re-issued. Recorded at the Kaye-Smith Studios in Seattle – from Wikipedia: Kaye-Smith 1969-1982 – Kaye-Smith was a joint venture between actor/comedian Danny Kaye and businessman Lester Smith. Kaye-Smith owned several radio stations includingKJR, the dominant AM top 40 station in Seattle during the 1960s and 1970s. Together, they also owned Seattle’s Kaye-Smith studios (where records by Heart, Steve Miller andBTO were recorded), Concerts West (with Pat O’Day, a booking and promotion company that handled Jimi Hendrix, Led Zeppelin, Bad Company, Eagles, Paul McCartney, and others); and were original owners of the Seattle Mariners baseball team.